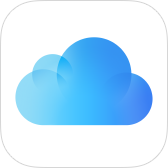 iCloud stores your music, photos, apps, contacts, calendars, and more, and wirelessly pushes them to iOS devices and Macs running iOS 5 or OS X 10.7 Lion or later, respectively. iCloud is integrated with your apps, so everything happens automatically. This tag can be used for several aspects of iCloud. It can include anything synced using iCloud, iCloud backups, iCloud storage space and the iCloud Drive app.